WE FINANCE !!! 1 OWNER!!! CLEAN CARFAX !!! BMW X1 sDRIVE28i , BLUETOOTH, LEATHER, STEPTRONIC TRANSMISSION, KEYLESS ENTRY, STEERING WHEEL CONTROLS, AUTOMATIC CLIMATE CONTROL, POWER FRONT SEATS, BMW PROFESSIONAL SOUND SYSTEM, FOG LIGHTS, 17" ALLOY WHEELS, WELL EQUIPPED !!! LIKE NEW TIRES, KEYS, BOOKS, GARAGE KEPT, LOOKS AND DRIVES GREAT !!! 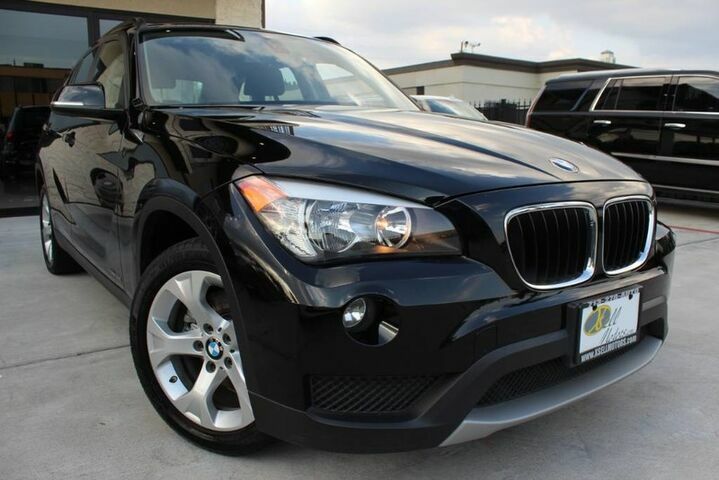 XSELL MOTORS HAS A WIDE SELECTION OF EXCEPTIONAL PRE-OWNED VEHICLES TO CHOOSE FROM, INCLUDING THIS 2013 BMW X1 sDRIVE28i . IT HAS VERY WELL TAKEN CARE OF. We are a Gold Star Member of the Better Business Bureau , and they are very proud of us !!! Our reputation speaks for itself. This BMW X1 has all MATCHING TIRES . All services on this car are up to date. This vehicle is 100% NON-SMOKER . An EXTENDED BUMPER to BUMPER WARRANTY is available. Visit our website @ xsellmotors.com for more photos and information !!! At Xsell Motors , no matter what vehicle you are looking for, we can find it for you. Don't hesitate to contact us with questions or for a test drive. 713-278-AUTO (2886) We offer free airport pick-up . We can help facilitate low-cost shipping directly to your door. Disclaimer: Tax, Tag, Title, License, fees, and dealer added options are additional. Inventory and pricing information is uploaded to our 3rd party vendors nightly. Periodically, an error in that information may occur. Please confirm inventory availability and pricing with dealer. All finance or lease offers require credit approval.